Match ends, Heart of Midlothian 1, Rangers 2. Second Half ends, Heart of Midlothian 1, Rangers 2. Foul by Clévid Dikamona (Heart of Midlothian). Ovie Ejaria (Rangers) wins a free kick on the right wing. Andy Halliday (Rangers) wins a free kick in the attacking half. Foul by Steven MacLean (Heart of Midlothian). Attempt missed. Olly Lee (Heart of Midlothian) left footed shot from outside the box is high and wide to the right. Foul by Kyle Lafferty (Rangers). Christophe Berra (Heart of Midlothian) wins a free kick in the attacking half. Attempt blocked. Ryan Jack (Rangers) right footed shot from outside the box is blocked. Attempt blocked. Alfredo Morelos (Rangers) right footed shot from the right side of the box is blocked. Corner, Rangers. Conceded by Clévid Dikamona. Substitution, Rangers. Ross McCrorie replaces Lassana Coulibaly. Substitution, Heart of Midlothian. Callumn Morrison replaces Sean Clare. Corner, Rangers. Conceded by Christophe Berra. Lassana Coulibaly (Rangers) wins a free kick in the attacking half. Scott Arfield (Rangers) is shown the red card. Attempt saved. Lassana Coulibaly (Rangers) right footed shot from the centre of the box is saved in the centre of the goal. Attempt saved. Daniel Candeias (Rangers) right footed shot from the centre of the box is saved in the bottom left corner. Substitution, Heart of Midlothian. Olly Lee replaces Harry Cochrane. Gareth McAuley (Rangers) wins a free kick on the left wing. Attempt missed. Alfredo Morelos (Rangers) left footed shot from the left side of the six yard box is close, but misses to the left following a fast break. Substitution, Heart of Midlothian. Clévid Dikamona replaces Marcus Godinho. Substitution, Rangers. Ryan Jack replaces Eros Grezda. Eros Grezda (Rangers) is shown the yellow card for a bad foul. Foul by Eros Grezda (Rangers). Djoum (Heart of Midlothian) wins a free kick in the defensive half. Corner, Rangers. Conceded by Marcus Godinho. Attempt blocked. Eros Grezda (Rangers) right footed shot from the centre of the box is blocked. Attempt saved. Eros Grezda (Rangers) right footed shot from the left side of the box is saved in the centre of the goal. Attempt blocked. 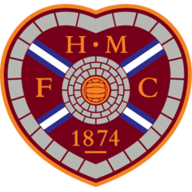 Demetri Mitchell (Heart of Midlothian) left footed shot from outside the box is blocked. Lassana Coulibaly (Rangers) wins a free kick on the left wing. Attempt missed. Alfredo Morelos (Rangers) left footed shot from the left side of the box is close, but misses to the right. Foul by Scott Arfield (Rangers). Peter Haring (Heart of Midlothian) wins a free kick in the defensive half. Foul by Lassana Coulibaly (Rangers). Demetri Mitchell (Heart of Midlothian) wins a free kick on the right wing. Christophe Berra (Heart of Midlothian) wins a free kick on the right wing. Second Half begins Heart of Midlothian 1, Rangers 2. First Half ends, Heart of Midlothian 1, Rangers 2. Corner, Rangers. Conceded by Michael Smith. Foul by Marcus Godinho (Heart of Midlothian). Goal! Heart of Midlothian 1, Rangers 2. Alfredo Morelos (Rangers) right footed shot from the centre of the box to the top left corner. Assisted by James Tavernier with a cross following a set piece situation. Attempt missed. Daniel Candeias (Rangers) header from the centre of the box is just a bit too high. Attempt saved. Gareth McAuley (Rangers) left footed shot from the centre of the box is saved in the bottom right corner. Foul by Oliver Bozanic (Heart of Midlothian). Lassana Coulibaly (Rangers) wins a free kick in the defensive half. Attempt missed. James Tavernier (Rangers) right footed shot from outside the box is close, but misses to the left from a direct free kick. Scott Arfield (Rangers) wins a free kick in the attacking half. Goal! Heart of Midlothian 1, Rangers 1. Connor Goldson (Rangers) left footed shot from very close range to the top right corner. Assisted by James Tavernier with a cross following a set piece situation. Corner, Rangers. Conceded by Djoum. Attempt saved. 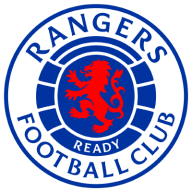 Ovie Ejaria (Rangers) header from the centre of the box is saved in the centre of the goal. Attempt saved. Eros Grezda (Rangers) left footed shot from the left side of the box is saved in the bottom right corner. Corner, Rangers. Conceded by Demetri Mitchell. Attempt missed. Alfredo Morelos (Rangers) left footed shot from the centre of the box is too high. Djoum (Heart of Midlothian) wins a free kick on the left wing. Own Goal by Gareth McAuley, Rangers. Heart of Midlothian 1, Rangers 0. Attempt missed. Harry Cochrane (Heart of Midlothian) right footed shot from outside the box is close, but misses to the right. Eros Grezda (Rangers) wins a free kick on the left wing. Corner, Heart of Midlothian. Conceded by Connor Goldson. Corner, Heart of Midlothian. Conceded by Allan McGregor. Attempt saved. Djoum (Heart of Midlothian) header from the centre of the box is saved in the top left corner. Harry Cochrane (Heart of Midlothian) wins a free kick in the attacking half. Attempt missed. Alfredo Morelos (Rangers) right footed shot from outside the box is high and wide to the right. Attempt saved. Steven MacLean (Heart of Midlothian) header from the centre of the box is saved in the bottom left corner. Sean Clare (Heart of Midlothian) wins a free kick on the right wing. Eros Grezda (Rangers) wins a free kick in the attacking half. Ovie Ejaria (Rangers) wins a free kick in the attacking half.